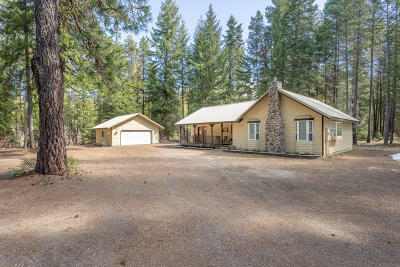 Secluded & private, this is a rare opportunity in the Fish Lake area for a bit of acreage & an immaculately maintained home. 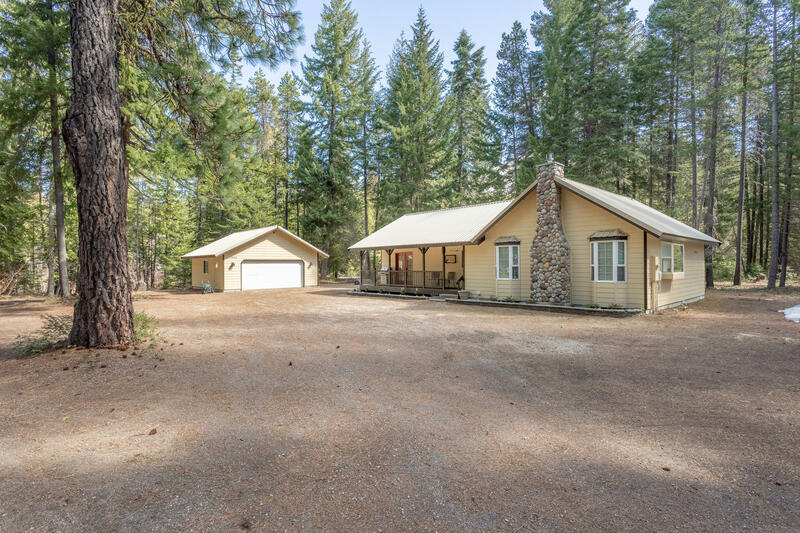 Sitting on 1.83 acres this rambler offers vaulted ceilings, custom river rock fireplace, & open kitchen, dining/living concept. The kitchen includes abundant cabinet & counter space, 3rd room could be a bedroom or an office. Master includes ensuite bath, walk-in closet and French doors to the covered front porch. Detached 25' x 25' car garage is heated and has plenty of room for your recreational toys. Fish Lake Run, a seasonal creek is out your back door. Located in the heart of a sought-after recreation area, snowmobiling, hiking, snowshoeing and cross-county skiing are easily accessible out your door to your favorite trail.